You’ll need a sharp eye and a quick mind to complete these 100 themed word search puzzles. 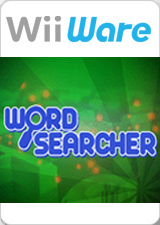 Word Searcher contains fun words from multiple categories including anatomy, world cities and U.S Presidents. Packed with a huge assortment of subjects to choose from, there’s sure to be a puzzle anyone will enjoy. Help improve your vocabulary, memory and problem-solving skills with these addicting puzzles. Keep track of, and try to beat your own play through times again and again as words are scrambled every time you play. Get your thinking cap on and conquer all 100 today! The graph below charts the compatibility with Word Searcher since Dolphin's 2.0 release, listing revisions only where a compatibility change occurred. This page was last edited on 2 February 2018, at 05:22.